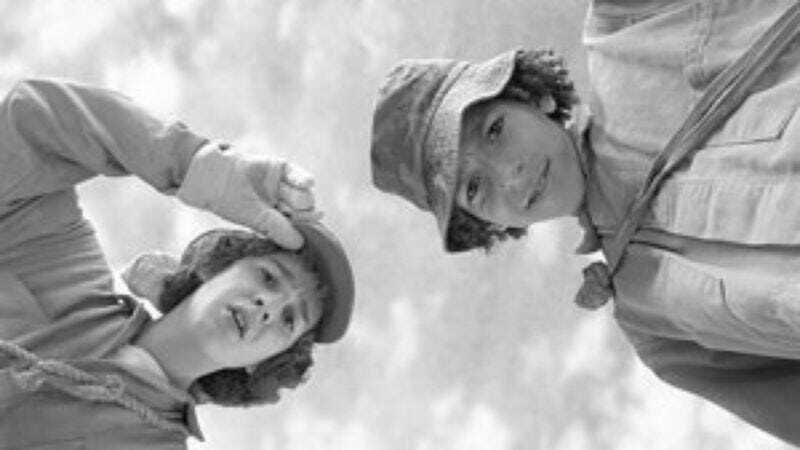 An apparent attempt to prove that fart jokes and conceptual explorations of fate can coexist in a kids' movie, Holes adapts Louis Sachar's popular children's novel about a kid (Shia LaBeouf) wrongly convicted as a juvenile delinquent, and the Kafka-esque rehabilitation camp where he discovers the historical forces that brought him there. Forcefully directed by action director Andrew Davis from Sachar's own script, Holes is an ambitious undertaking, but not a successful one: It unfolds with the studied determination of a grade-school book report. Struck from above by a pair of stolen shoes, LaBeouf winds up in the middle of the Texas desert, where the young inmates do penance by digging one big hole a day. "If you take a bad boy and make him dig a hole every day in the hot sun," says camp overseer Jon Voight, "it will turn him into a good boy." That logic originally came from warden Sigourney Weaver, and has been passed down through camp counselor Tim Blake Nelson, then more or less accepted by each of LaBeouf's fellow inmates. When not questioning this supposition, LaBeouf reflects on his family's history and a curse stretching back to the Old Country that may be responsible for his misfortune. Meanwhile, Holes does some flashing back of its own, recounting the region's history, the town that once flourished at the camp's location, a romance between original settlers Patricia Arquette and Dule Hill, and the intolerance that brought it to its tragic end. With so many overlapping timelines and intersecting stories, Holes begins to resemble a failed collaboration between Atom Egoyan and the Nickelodeon network. Sachar's novel has been compared to Catch-22 for kids, but that's just one of several tones the film assumes. Mostly, the satire gets back-burnered in favor of the frenetic, unpleasant business of the plot, which drags on forever without giving viewers any reason to care about the secret behind all those holes, or even whether LaBeouf and his friends make it out alive. The movie does, however, feature lots of digging.